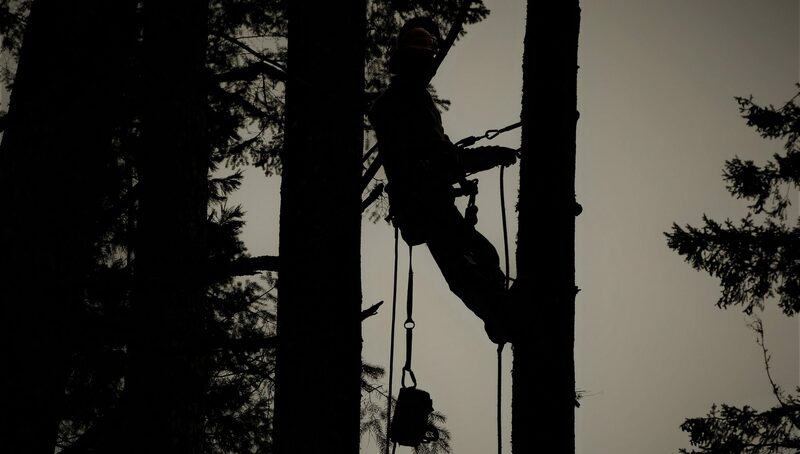 one oak down… – FORTY OAKS TREE SERVICE LTD.
Last Saturday we tackled this tree, a 70 foot Garry Oak in North Cowichan, BC. The homeowner had purchased the home last year and was concerned about the tree, which overhung her entire home. It would constantly drop branches on to her roof, which made her very uneasy. We arrived on site around 8am. Did a bit of pruning and deadwooding and tightened up a hedge before moving on to the Oak removal. Started cutting the Oak around 10am. The video shows the removal of the large lower dominant limbs overhanging the house. We finished the removal around 2pm, and then had some clean up. FIrst, I climbed up and opened a hole in the upper canopy to run my ropes freely in order to rig down the large lower branches. I hung my climb and rig lines in separate stems to avoid tangle. The stem that I rigged out of was the largest back crotch possible. Then I strategically picked apart the large branches, dropping them into the open hole; missing the roof and safely lowering down to my ground man (who is on the other end of the rope) in the backyard. The order of branch removal is approached very strategically. I always have to be one step ahead. I have to know my next tie-in point. I have to make sure not to cut a branch or stub that is going to be useful strategically. It is second nature for me to lift my ear protection on my hard hat immediately after I turn my saw off,…every.single.time. I am always listening for creaks and cracks and oddities in the tree. I am always conscious of what is underneath me. Some of these chunks of wood in this video weigh 300+ pounds. As you can imagine, every removal has circumstances that are unique. Trees are like fingerprints…no two are the same. Stay tuned…..more video footage to come. 40 out. Previous PostPrevious What the Oak?? ?